What are the 48 MTB races? Scottish Cycling MTB guru Paul Newnham came up with the idea:a grassroots mountain bike challenge open to all, a race that people can ride to (rather than drive) and a way to get fit but in a fun way. A number of pilot events were held in 2010 including one at Craigmillar Castle in Edinburgh run in conjunction with ERC and The Tri Centre which was well received by racers. In 2011 ERC are promoting a series of three EDINBURGH 48 races sponsored by The Tri Centre on 12, 19 May and 2 June. For youth riders aged 10-14 there is a separate 24 minute race, whilst Youth A racers get to race with seniors for 48 minutes. For all youth riders the races provide a transition from regular Thursday night races at the ERC Ingliston Crits to the PCC Dirt Crit series in June. The 1.7 km course is based on grass and prepared tracks in Craigmillar Castle Park. The course is not highly technical and can be done on a cyclocross bike as well as MTB. Access to the race HQ and circuit will be signed from the Recycling Centre road off Old Dalkeith Road. Competitors are encouraged to cycle to the event where possible. Please note there is NO PARKING for competitors at Craigmillar Castle or the Mains of Craigmillar. There is ample parking along Glenallan Drive on south side of Inch Park accessed from Gilmerton Road, (This is the road used for ERC Juniors sessions and the ERC Youth Cross Race). Glenallan Drive is a dead end but there is pedestrian access through to Old Dalkeith Road opposite the Recycling Centre Road. Please take care crossing Old Dalkeith Road at this point. Entry on the night only. Non BC licence holders will also need a day licence (£1.50 youths, £5 seniors). 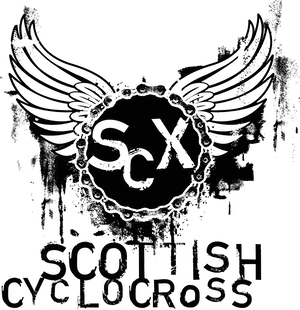 Check out the Edinburgh Road Club website for the all latest on the series. Labels: "Edinburgh 48" "Edinburgh Road Club"